So I just finished playing Styx Master Of Shadows and I REALLY want to make a character in the future for an RPG based off of him. I am having trouble finding a miniature that is unique and similar to the main character Styx. Any help would be great. This guy is original. You'll understand if you play the game. 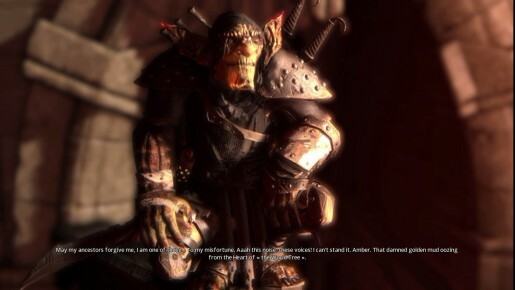 Also, Side note from looking up photo for everyones reference, Styx Master of Shadows is a prequel to Of Orcs and Men. I also recommending playing Styx if you like Assassins Creed. The fighting mechanics are a bit annoying but once you get it is can be HIGHLY satisfying. The closest thing visually that I could find from Reaper was the mace-and-shield guy from Goblins II who'd need the shield removed and a weapon swap. Although, given the source material, you might be able to splice a goblin head onto something like one of the Bloodstone Gnomes, or possibly onto an old-school smallish orc, both of which would give the slightly more muscular look that Styx has. 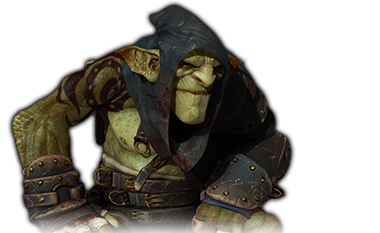 The old Grenadier Hobgoblins are a pretty close match to that Guy, their pronouced chins in particular. They are available from Mirliton. OH SNAPPLE! I just had an idea from this! STONEHAVEN GNOMES! Although I like the Stonehaven Assassin I was kind of hoping for more skin showing. Reason being, I really like that green to black skin on Styx. My favorite thing about the pic in the first post is the leather. I'd love to be able to paint cool leather like that someday. There is this guy, he is not a goblin, but surely looks like the image above. Lots of great options here, thanks everyone. So I think I will be purchasing one or two of these guys. What makes this so awesome - in my humble opinion - is that I spoke with the company on FB about this very idea. I'm sure I'm not the only one to want it, but it is really nice to see it come out so soon. EDIT: Adding other possible miniatures. 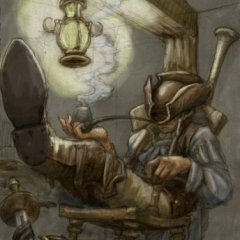 Right now Atlantis Miniatures is showing to be a good source. In this newest update we have this guy! Warhammer Night Goblins aren't too far off, either (link). 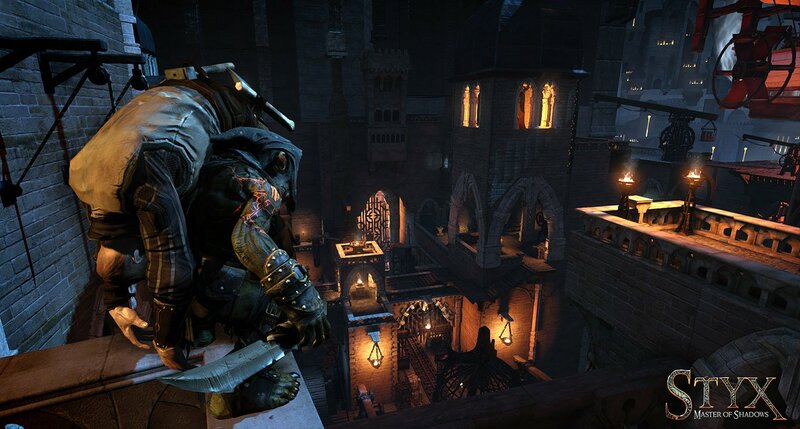 Any rackham goblin could be close as this game is set in that universe. if you're willing to put a little bit of work in there is software that will allow you to rip the 3D model directly from the game. Once you have the model you just need to have it 3d printed by one of the many 3d printing sites online. I looked into this a few months back and it's not super easy but its not super hard either. I plan to eventually print out my mmo avatars at some point to add to my miniature collection. 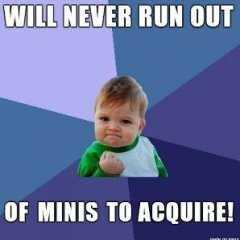 I think when i last checked i priced it at around $30 a miniature. I had never heard that before. None of the previews seem to show any of the wackier or more surreal parts of Rackham. Was it like sanitized to be more generic or are they jsut showing the normal fantasy bits? Here is the last piece of the army: an orc boss to lead the horde. The model is called Grumlok and Gazbag, and I believe it's based on a Warhammer Online model. As an extra, there is also a new ogre tyrant. I picked up this guy to lead my combined horde of greenskins and ogres.